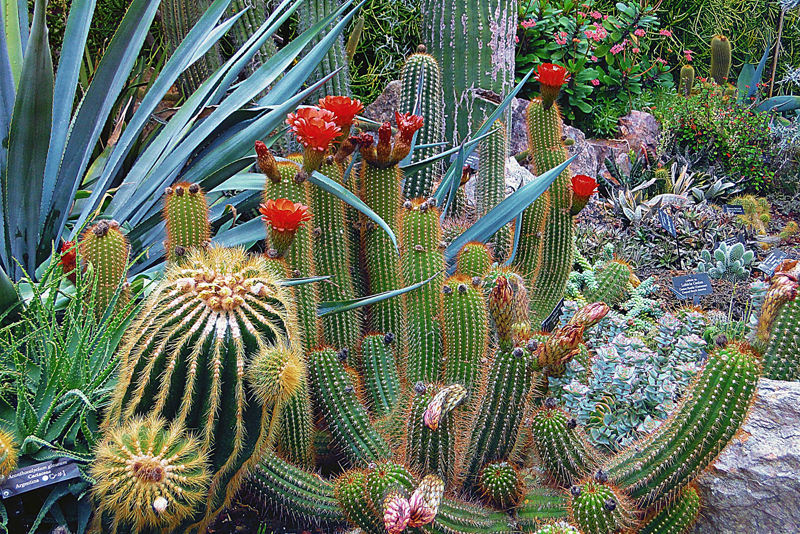 of cacti and succulents, “The Houseplant Encyclopedia” will meet your needs. Written by Ingrid Jantra and Ursula Kruger, this volume was published by Firefly Books. It features one thousand kinds of houseplants with nearly a hundred of those being cacti or succulents. This comprehensive book has over 900 full color photos. It covers everything you could possibly need to know about cacti and succulents and other species of houseplants. There is an entire section devoted to cacti and another for succulents. The authors provide you with all the information you will need to choose those species that are best suited to your indoor growing conditions. The introduction discusses the various kinds of locations in the house that are suitable for plants. The authors analyze each particular kind of situation so you will know what will grow under those conditions. For example, there are lists of species that are adapted to hot, dry warm indoors spots and another for those areas with sheltered conditions. An entire chapter explains what to look for when you go to buy your houseplants and how you can help your new purchase to acclimate once you get it home. The authors also explain the origins and history of houseplants as well as the basic types. There is a very in-depth chapter on why plants need rest periods, which will certainly help you succeed with your cacti and succulents. For those who want to learn more about plants, there is an easy to follow chapter on the parts of a plant and discussion about their different growth habits. Other chapters that will be particularly useful to cacti and succulent lovers are the ones on the plant species that are known to either cause injury or harm, including toxic ones. Some cacti and succulents do fall within these various categories. The encyclopedia’s A to Z entries are detailed enough to provide you with everything you need to know. It has the Latin and common name, family name, information on the plant’s origins, and growing needs. There are full descriptions with color photos, tips on where to grow the species in the home, its routine and seasonal care, the preferred propagation method, the plant’s landscape use, and insect and disease problems.